Indigenus, the largest independent global network of entrepreneurial healthcare creative agencies, today announced that Insight, based in Australia and New Zealand, is now a member of the Indigenus family. 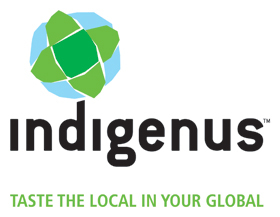 NEW YORK, New York, July 11, 2012—Indigenus, the largest independent global network of entrepreneurial healthcare creative agencies, today announced that Insight, based in Australia and New Zealand, is now a member of the Indigenus family. The Indigenus network spans major and emerging global markets, providing pharmaceutical and healthcare companies with innovative multichannel global branding, advertising, medical education, and medical communications. Local agency partners collaborate closely from prelaunch through life-cycle management, blending insights and creativity from across the globe, a process Indigenus calls global fusion branding. Indigenus global network Indigenus is the largest independent global network of entrepreneurial healthcare creative agencies. Indigenus was formed in 2004, and became an agency-owned Limited Liability Company in 2011. The network provides 100% global coverage, with 14 agencies serving major and emerging markets: The CementBloc (USA), PAN Advertising (UK), umbilical (Spain), Strategik & Numerik (France), Serviceplan Health & Life (Germany), thenewway (Italy), g Healthcare (Turkey), Marketing Latino (Mexico), Sorento Healthcare Communications (India), PharMa International Inc (Japan), Thanks Comunicação (Brazil), Lindh & Partners (Sweden), Micó & Asociados (Argentina), and Insight (Australia and New Zealand). Indigenus is currently credentialing potential agency partners in China and Canada. Secondary markets are served by the Worldsourcing Initiative (WIN), which centralizes rollout to drive brand consistency and cost-efficiency. Visit www.indigenus.net to learn more.